This post is made possible with support from MultiWear. However, all opinions are my own. At the moment, I am in full nesting mode preparing for the arrival of Baby C. With that being said, I created an excel worksheet to help me stay organized throughout these last couple of weeks. I have a worksheet dedicated to Baby C and one for myself. The way I can keep track of what has been purchased, needs to be purchase, is an essential, ect. As first time parents, it has been difficult to decide what is a necessity or must have. In case, you’re interested in a check list for new parents let me know so I can share the one I created. Moving forward, a must have is a diaper bag because all the necessities of the baby will be packed for any occasion. 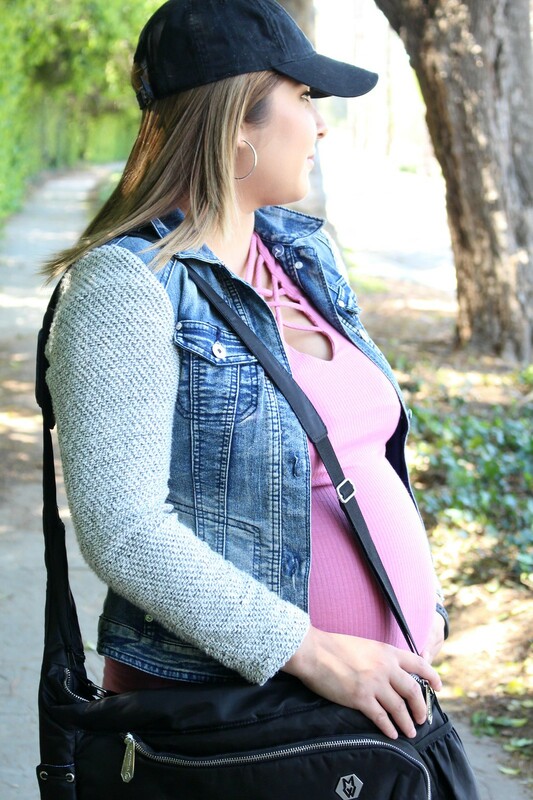 Today, I’ll like to introduce the Division of Labor Diaper Bag from MULTIWEAR. More specifically, the command and care tote. Budget. Finding the ideal diaper bag within your budget can be challenging yet not impossible. With that being said, it is important to find quality within your price range. After all, the ideal diaper bag should last you years. However, if you have a low budget search for the best diaper bags under the amount you wish to spend. Plenty of Storage. As a first time mom, I’ve asked family and friends what I should look for in a diaper bag. The most common answer was plenty of space because I will need it. Therefore, I suggest searching for a diaper bag that has enough space and storage compartments. Easy to Clean. In all honesty, all diaper bags are meant to be used for newborn, infant, and toddler stages. Needless to say, the diaper bag is going to experience poop and throw up to name a few things. As a result, it will be ideal to purchase a diaper bag that is easy to clean up. Easy to Share. Keep in mind, only one diaper bag is necessary for a newborn, toddler, or infant. However, if dad, grandma, or a nanny will be using the bag it might be beneficial to purchase a secondary one. Extra Features. The possibilities of extra features are endless! For example, stroller pockets, insulated pockets, interior pockets, ect. 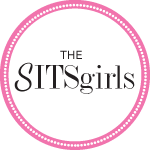 It is important to find which features are the most important to you, and purchase a diaper bag with them. Without a doubt, the Multiwear Care Tote is the diaper bag my significant other will be utilizing. As I mentioned above, Multiwear has released diaper bags that are unisex ideal for moms and dads. On the other hand, I prefer a more feminine stylish bag. With this in mind, is it possible to request Multiwear to design a bag with the print inside their Division of Labor Bags outside? If so, I would truly enjoy having one. Lastly, leave me a comment with what you look for in a diaper bag. In your opinion, does the Division of Labor bags include those essentials? You look more than ready to welcome that baby! I absolutely love your jean jacket. This kind of outfit is totally my style too! I love the black diaper bag too because it can look just like an oversized purse. I most definitely was ready for the baby to arrive. 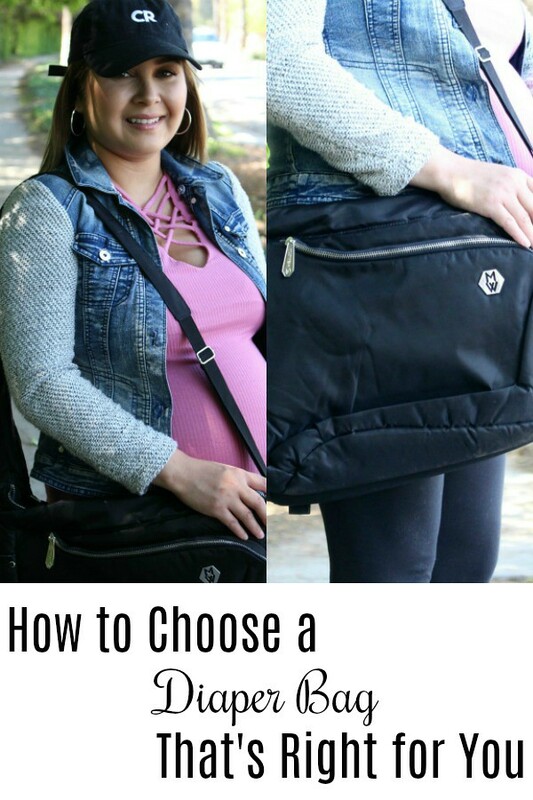 These are nice tips in choosing the right diaper bag for our baby and that black bag is also beautiful, comfy and very stylish. What a great bag to have for the new baby and to keep during the toddler years. Little ones need so much stuff so really need a bag that is both practical and stylish. Yes, the bag itself can be used for a variety of task other than diapers. I need a baby bag diaper like this because my baby needs to bring a lot of stuff most especially when we are travelling and I think this bag is the right one for me. My husband was a stay at home dad when our kids were young so we definitely needed a diaper bag he was comfortable carrying. Looks like you found a great option in the black Multiwear option. As a matter of fact, we planned for my significant other to use this bag as well since it was more manly. That looks like a super nice diaper bag! I always loved having a diaper bag that isn’t too “baby” if that makes sense lol I want a bag to be cute for me and functional! I actually never got a diaper bag, that’s the one thing I forgot to get. This looks really great and functional which is the most important. I can’t image how you got by without a designated diaper bag. In my opinion, they are a necessity. I love this bag. They look so much better than they did when I had kids. Mine were always rather dull and boring. This bag would match everything. The color would be one that even the dad would want to carry. I bet it is so hard trying to make sure you buy the best ready for when your little one comes along. Sounds like you have found a great nappy bag! I love the one you chose. I remember having trouble with it. I wanted something fairly unisex so we went for a silver one. And I can’t even remember the one with my son! I think it was red! Ah, second children. Nice information specially when you are pregnant nice info thanks for sharing! Wow! That is such a nice and very functional diaper bag. I wish I had a chance to know this when my daughter are still a baby. Keep in mind, it will make the best gift during a baby shower. Great info. I always like to look for lots of storage when I’m buying any kind of bags. It also looks nice, this bag. i had the same problem before. My husband doesn’t really want to carry a diaper bag that is styled for babies. And with this kind of bag, I think most dads won’t care carrying it with them. Yes, most men wouldn’t mind carrying this particular diaper bag. I was browsing the internet for a baby shower gift too, when i came across this. Thanks for sharing! Love your outfit and that diaper bad doesnot look out of place at all. It goes so well with your outfit. 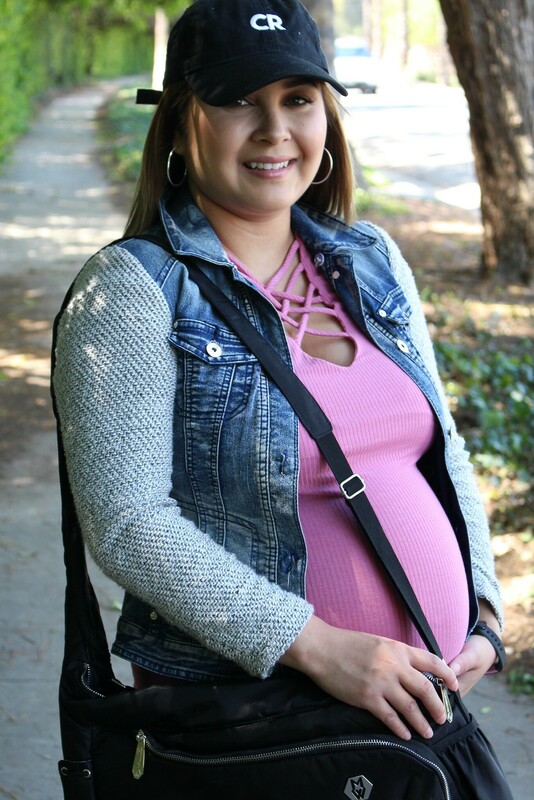 When I was pregnant with my daughter, I had the BIGGEST diaper bag ever! I regret not getting something more convenient. I was so picky when it came to picking a diaper bag and then I wound up settling for one that I hated. It’s important to get one that has the ability to hold everything you need. As a matter of fact, finding a diaper bag that suits your needs and personality is a must. Otherwise, I can imagine how dreadful it can be to carry it around. Considering that it will contain so many essential gear for your baby, it needs to be resistant and can hold everything you need! This one looks perfect for the job! It is so easy for a diaper bag to become a disaster. You definitely want to have a diaper bag from day one. The right one will last you until you don’t need one anymore!! It’s important to have one that suits what you want/need to carry. This is a very useful post for new parents and those expecting, storage would be the priority for me then budget. Yes, storage is everything in my opinion. However, there is times when the budget might limit us. This is such a cool and versatile bag! Glad you found one that you liked. I remembered the diaper bag when I had my little one was a diaper backpack. I love the one you chose. Love your outfit and that diaper bad doesnot look out of place at all. Thanks for sharing. My mom surprised me with a backpack diaper bag, and I absolutely love it. We carry these things everywhere, we should make sure they are cute and that we lik them haha. You look adorable.